Viewing topic "Roland GS MIDI & Motif"
Is Motif Classic compatible with Roland GS MIDI. I have a few MIDI files which seem to have been created with a TR-808 drum kit, but when i play these on the Motif, it picks up the standard GM drum kit. Do a search on the forum for General Midi Reset or Initialise (I forget which it is) You need to put a command into the MIDI file in order for it to play back properly and it seems to me that this might be your answer. This is not a ture GM MIDI file (I think this is a GS MIDI). However, the drums are on channel 10 with a MSB 0 and LSB 127. I did try the GM Reset, but it got rid of the “Analog Kit” and replaced with “Standard kit”. I am not a midi guru by any means? What is XG? 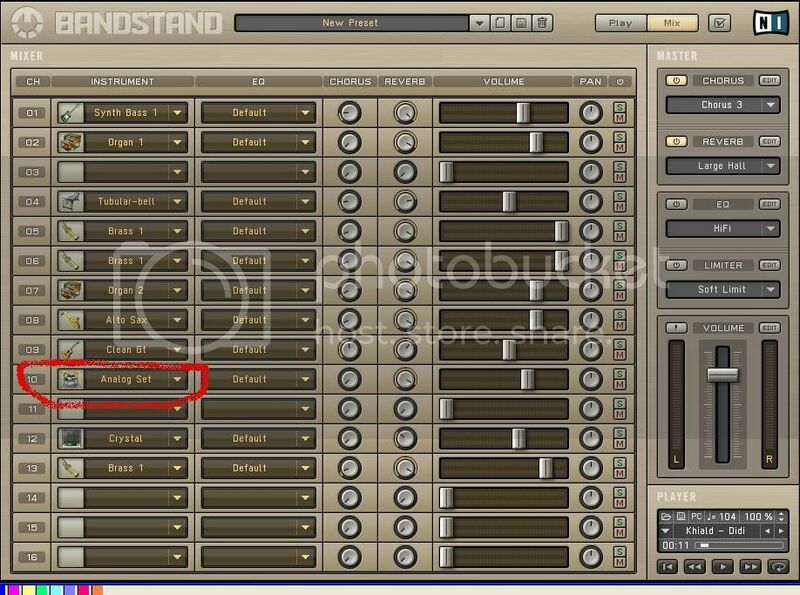 I usually play most of my MIDI files using Native Instruments BandStand, but i need to use my Motif if i want to modify or jam along with a song. I am attaching the MIDI file, in case you want to give it a try..
GM is General MIDI (around 1991) this protocol was introduced to allow a standard set of program changes to recall specific instruments. There are requirements that the Voices be listed in a specific order, deliver a specific amount of polyphony (minimum 32), and therefore there is a restriction to layering (most GM Voices are single layers, only a very few are velocity swaps, etc.). There were 16 Categories established for so called “Normal” instruments: Piano category, Chromatic Percussion category, Organs, Guitars, Basses, etc., etc. If your module was GM compatible it would ignore the MSB and LSB and just recall Program Change #34 from the standard 000/000 bank - so you would still get the standard Fingered Bass (Fender) sound but you would not get the “Modulated Alembic” bass Voice found in bank 000/065. So the file would still select a Fingered Bass sound and you would never know what you were missing. Okay, all that said. The Motif is not XG compatible, it is definitely not GS compatible, heck, it is not even officially GM compatible… Although it does have a bank of voices structured to respond to the standard normal GM bank select commands, the Voices are not strictly speaking GM Voices. Although the GM bank in the Motif-series does respond to MSB = 000, and LSB = 000 none of the restriction about layering were adhered to, thus there is no GM logo on the unit. 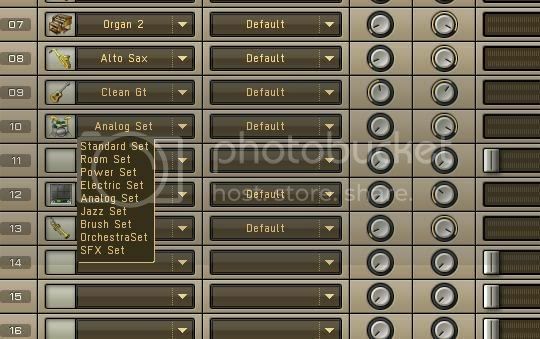 In general, the Motif only has 1 GM Drum Kit the Standard Kit at PC #1. You can substitute (manually) any of the Motif kits as the generally follow the GM mapping but results are bound to vary from original GM intentions (most times for the better) but there was no effort (quite the opposite) to make the Motif GM compatilbe on a strict basis… The target customer while they may use GM files, do not want to be restricted with the conservative rules of the GM protocol. 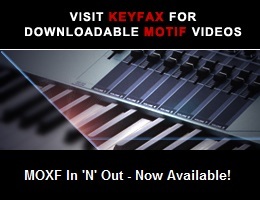 You can substitute the Motif’s own Analog drum kit (or any drum kit from the Motif’s own collection of kits).